Roger Sanders- How you see the world matters. My vision is a world where everyone is contributing to their fullest; a world where intrinsic talents are developed, where leadership empowers capacity building for every person and where people are happy with their life pursuits. Farmer – Growing up on a farm where crops and a menagerie of animals were the staples of survival, he gained a utilitarian and environmentalists view of the earth. Educator – Teacher, Administrator, Mentor. 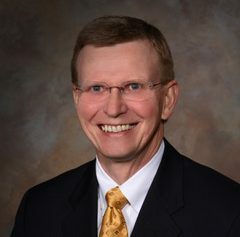 His academic training in education, information technology and organizational development prepared him for a distinguished forty-five year career as teacher, principal, superintendent and educational leader. Learning, personal development and career preparation are the focus of his efforts to help students and colleagues become their very best. Roger is the proud recipient of the Peace Leader Award from the Illinois Center for Violence Prevention, and the Larry Stilgebauer Award of Excellence from Illinois Computing Educators for exemplary use of technology. He holds a B.S. in Education and M.S. in Instructional Technology from Southern Illinois University and post-graduate work in Instructional Design and School Business Management from Northern Illinois University, as well as participating in the Motorola University scholars program for leaders in education. Designer – Opportunity Builds Capacity. As a presenter at state, national and international conferences and designer of a personal and professional career development program, Living miDream, he has collaborated with colleagues to create opportunities for others to empower themselves to leverage their passion and abilities to pursue their dreams. This has touched students, teachers and educational leaders by empowering them to discover their own “voice” to answer four essential questions: 1) Who Am I? 2) Where Do I Want To Go? 3) How Will I Get There? and 4) What difference will I make? He has helped organizations move from strategic planning to strategic thinking in their efforts to refine their vision, establish key beliefs, attain high performance, improve efficiency and engage in self-renewal. Volunteer/Philanthropist – Interact with Integrity and Respect Diversity. As a supporter of performing arts youth groups, Roger discovered a new world of the “creatives” that are dramatically changing how innovation and creativity are impacting how we see the world. Connecting with creatives from across the country has dramatically impacted how he sees his role as designer and redirected his vision of education and organizational development to emphasize the power of metacognition, manifesting to a higher self, advocating for your personal journey, and purposefully leveraging creativity to innovate for socially worthy endeavors. He has been especially impacted by his son, Brady, who is nationally recognized for his work as a designer, choreographer, and dancer. Living miDream explores four essential questions: 1) Who am I? 2) Where do I want to go? 3) How will I get there? and 4) What difference will I make? Living miDream is a process designed to help you achieve your potential. It engages you in exploring methods, tools and resources to build capacity necessary for breakthrough thinking. When talent and passion intersect, you achieve the highest level of performance. Living miDream makes that connection. High school students give insights into their perspectives, experiences and personal growth and share a personal digital story of their journey to date. Educators share models of implementation and perspectives on the impact for students and teachers. Living miDream is in year eighteen of implementation in small to large high schools in the Valley Education for Employment System in northern Illinois. It focuses on career and college readiness through personal and career development. Living miDream’s framework is based upon the research on metacognition and reflective thought, personal visioning through manifesting the future you desire, advocating for oneself by creating a Talent Development Plan, and addressing problems through innovative and creative solutions. Discovering your talents, focusing on your passion, and owning your journey are hallmarks of LivingmiDream.